DO NOT RESEARCH "MASCOT". It is not our name. It's a step name and a made-up one at that. My children are the first ever born "MASCOT" children. So don't waste your time, young Mascot generations to come. To reference gifts, I am going to defer to my Advent Calendar post on this subject. The first real historical event that I remember was Watergate. I had no clue what it was but tried to hard to understand. A hotel. Named “Watergate”. Did it have a mote? Was there a true gate of water around it? The President lied. From what I’d heard Dad saying, all politicians lie, so why was this part important? Because he got caught? None of this logic worked on me. Next up that I really remember were the yellow ribbons tied everywhere for the Iran hostages. I also didn’t understand that. Why did they have hostages? What was the point? And Reagan getting shot. He was fine. Why was it a big deal? Then there was the earthquake, 9/11, and all the things since. Growing up, our Thanksgiving table featured most of the same things that mine now does. Turkey, stuffing, gravy, mashed potatoes, green beans. The changes are that I don’t make the ambrosia salad like my aunt did. My mother-in-law makes it for our get togethers and so I don’t even try making it. I don’t like the cranberry sauce shaped like the can, so I make my own, but other than that, right down to the olives on the fingertips, I like to mirror the Thanksgivings of my childhood. Just a month or two ago, I wrote to a great teacher. I googled him, as I realized I never really know how awesome of a teacher he was at the time. He taught by osmosis and made learning just happen. I learned more in his science classes (6th and 7th grade) than in any other class my whole life. He was amazing. And I didn’t even know it at the time. I just thought it was easy. Well, that would be current events. Failing that (figuratively), physics was not a particularly strong suit. I called it, “All Word Problems All the Time” and rather than being an honors class like most of other high school classes, I dropped down to the “B” group where they used crayons and spelled everything out for me. I still got only a B.
I went to a few elementary schools. From K-3 I went to a very small, very close-knit school. I returned there for junior high, so when I think of elementary school, this is who I think of. We had a reunion on my 40th birthday and it was amazing to see them all again. With the help of Facebook, I feel almost as close to them now as I did then. High school was a unique situation for me. Pretty much after my freshman year, I was only there for classes. I was a good student, but few of my friends went to school and so I was there to learn and then left. My usual schedule was to get done with school around 3pm. I’d then go to work at Lockheed from 3-6. At 6, I’d head to a friend’s and they’d feed me before we would head to our hangout in downtown Palo Alto. My home was miles from there, which is why I didn’t spend much time at home. We would “hang out” with a big crowd of punk rock kids and at some point, head to Lyon’s (a 24-hour Denny’s-like restaurant) where I’d do my homework and write my papers. I’d head to a friend’s house to sleep at about 3 or 4am and get a couple hours in before school started. So high school was really a place of learning. I got a good education there, but I didn’t do all the sports/cheerleading/games, etc that most kids do. No prom for me! Although I did graduate early and got straight As (except for that stupid physics class...). Neither of my parents were particularly political growing up, but they did teach me to believe what I want to and to stand by it. And to do my research. When I was sixteen, my dad voted by mail. He told me that if I researched every ballot issue and presented my vote to him with clear reasoning, he would vote how I wanted. I researched for weeks, even going to meet congressional candidates and current state representatives. I gave my views to Dad at the kitchen table (where all important family business goes down). He argued/questioned me on a few, but all in all agreed with my conclusions and, as far as I know, voted my way. Growing up in California, “Fall” is a bit of a misnomer, as we don’t really have “seasons”. What fall represented for me was going back to school, which rather than horror, prompted excitement. It was a new beginning with new school supplied, new clothes and a new attitude. Everything that was wrong last year would be right. It was a do-over. A fresh slate. And I loved it. As adults, we don’t really have this. We don’t start a new job each year (or at least *I* don’t- been here for 16 now!) and we don’t get all new clothes and binders and pens and Peachey folders annually, either. Best we can do is have children and wonder why they don’t get as excited about a new pencil holder as we do. I'm way behind on my 52 Weeks of Personal Genealogy and Family History. I just typed up several of my handwritten articles and they will post throughout tomorrow. I've a few more to go, which hopefully I'll complete tomorrow. My advent calender posts are just going to all be from 2010. 2010 was a fun Christmas and so those posts are going to be just fine to stand on their own! REALLY good… I got sidetracked the first part of the year with a writing project on the Mariani family, which isn’t even my family. 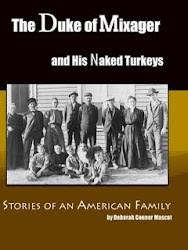 However, it resulted in a Lulu book and another half finished book on their actual family history. But then THAT sidetracked project got sidetracked by the writing project for my Conner family after a trip to Grampa’s in August that featured 500 scanned pictures and a story to go with each. 1. Write up what I know of John Shelton.- Not done. Moving to 2012. 2. Write up what I know about Laura Wilkinson.- Completed and published in the Livermore-Amador Genealogical Society’s quarterly newsletter. 3. Write up what I know about William Mason Conner.- I have enough on William Mason to do a nice photo book. This will be a 2012 project. 4. Fill in some blanks about Thomas Conner.- Need to order Thomas’ death certificate. 5. Write the Mariani history as I know it.- 2012 project. 6. Source all of the above.- Sourcing as I go. Good girl, Debbie! 7. 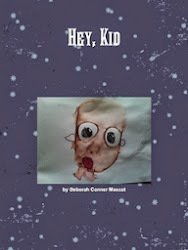 Begin a family newsletter for descendents of William Mason Conner.- Began a Facebook page and decided a newsletter isn’t really a good format for sharing these days. Terminated goal. 8. Find descendents of William Mason Conner.- found some on Facebook and sent emails on others. Got some responses and that is enough for now. 9. 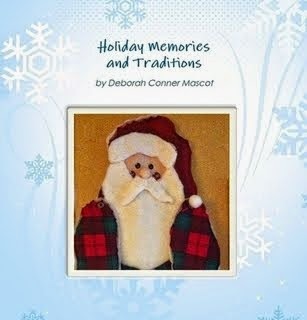 Teach a home school class on family history for young children.- In progress now. Enjoying it! 10. Toss all of the above to 2012's list when I find something really exciting on some other line that wasn't on The List.- As I said, this goal is MASTERED!!! Finish rough draft of Dukes of Mixager. Finish rough draft of Chicken Wings and Peas. Edit Chicken Wings and Peas. 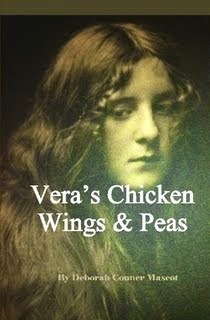 Publish Chicken Wings and Peas. Put together photo book of William Mason Conner. Order death cert for Thomas Conner. Order Civil War records for Miles Price. Write up John Shelton and do research on Shelton line. Do NOT get sidetracked by other projects! Updated 12/15/2011: In researching Victoria, I found that she and Cora had quite a few children, but most died. Their first is buried next to Victoria's grandmother Sarah Chapman in Milwaukee. Victoria's parents were William Robbins and Jane Ellsworth. They lived in Prairie du Chien until about 1890 and then moved to Milwaukee.After Sarah died, Jane (a widow) left and went to her brother's in California. Jane's brother was Eliphalet Ellsworth, who came to California and had a profitable farm in Napa. Cora, Victoria, and the children went with her. All of them are buried in Napa, California. Originally posted 12/12/2010. Updated below. 12/12/2012- This year we volunteered for a food drive in front of a local grocery store. We asked for people to buy certain foods as they did their shopping and then bring to us out front. We also had bags ready if they just wanted to give us $10. My 5-year-old son was a kick in the pants. Completely in their faces. "WOULD YOU LIKE TO PUT FOOD IN OUR FOOD BANK?" And he remembered if you said you were going to do it on your way out and then didn't. And call you out. In front of God and everyone. All the way to your car. We also helped out at an underprivileged children's party. So we are stepping up our volunteer game. We love to watch Christmas movies. As a kid, it was all those on ABC, NBC, or CBS. Rudolph, Frosty, Charlie Brown. We always got the TV Guide and I'd go through it and mark the dates and times for Christmas movies. Now with DVR, DVD etc, we pretty much have all bases covered, but we still like the above classics. Add in Christmas Story, Elf, Christmas Vacation, and Funny Farm and I'm all set with Christmas movies.